Převodník HDMI na 3G-SDI optiku. Kompaktní provedení připojitelné přímo na kameru. Embeding 8kanálů HDMI zvuku, plus 2kanály analogu. Single node 1310nm, dosah až 10km. Včetně zdroje AJA DWP-U-R1. 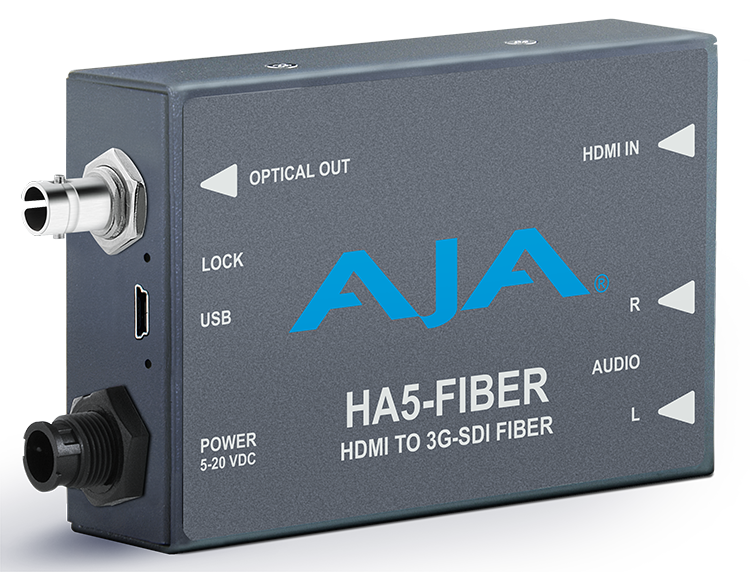 The HA5-Fiber converts a HDMI input to 3G-SDI over single mode 1310 nm fiber optic cable (ST-style fiber connector) for transporting HDMI sources over fiber with 1080p 60 support. The small form factor enables this Mini-Converter to easily fit onto the back of a camera or neatly behind an equipment rack. 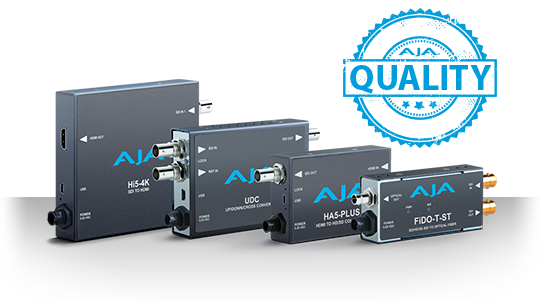 Embedded 8-Channel audio is supported in the fiber output allowing a convenient single cable audio/video connection up to 10km. 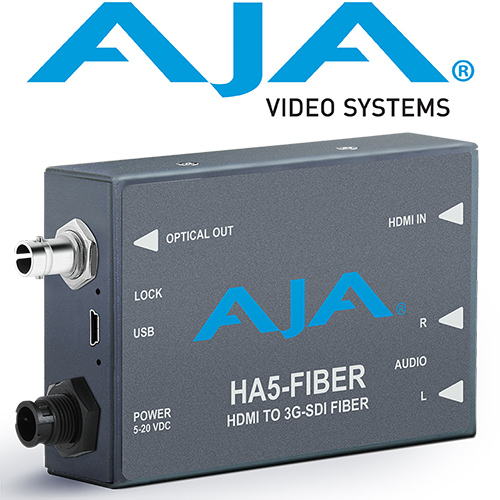 The HA5-Fiber also provides 2-Channel RCA style audio inputs for a stereo audio input when needed.